The day she graduated high school, Jaxyn left everything behind to escape. Now, three years later, she’s done running from her past and finally returning home to Boston to face the friends she abandoned without warning and the nightmares that still wake her in the night. 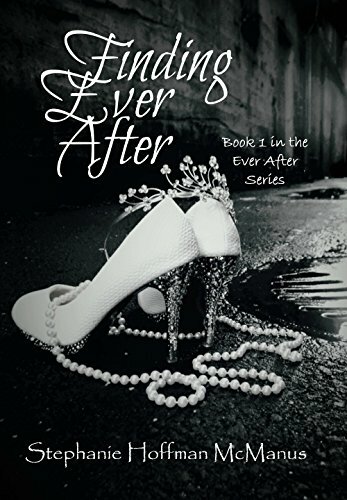 Back in the house that holds all of her childhood memories, from before life showed her that ‘happily ever afters’ don’t come easy, she is unsure of what the future holds. She definitely wasn’t expecting Kyden McCabe, the hot, tattooed and pierced musician she meets her first night back. He’s arrogant, frustrating and completely wrong for her. All she ever wanted as a little girl was to be swept off her feet by a prince, but Ky is nothing like the heroes from the stories her mom used to read to her. He lives his life one night stand at a time and she knows he’s nothing but trouble. Still haunted by her past and afraid to let anyone see the scars she hides, she fights the attraction she feels for Kyden and wonders if she’ll ever find her storybook ending. Then a monster from her past threatens to rip away her chances before she realizes that maybe she already found it. “Are you going to kiss me?” My voice came out breathless and the corners of his mouth curved up into a devastating smile. “Believe me, you’ll know when I’m going to kiss you.” He lowered his face until it was just inches from mine. My heart rate increased and a flush crawled up my neck and over my face. His eyes were locked on mine and I was unable to look away or move, even though I knew I should. He leaned in even closer until his lips hovered just over my jaw. He took my chin gently in one hand and trailed his thumb over my bottom lip. I felt his warm breath on my neck as he moved to whisper in my ear. “You’re not ready for me yet Princess, but when you are I promise you won’t have to ask whether or not I’m going to do it.” Just like that he pulled away and walked right out of the room. It took me a moment to collect myself and I was left wondering what the heck just happened. Holy heart attack Batman. I was in trouble. That much I knew.